Bronwyn is visiting Pittenweem and popped into the shop for some fibre inspiration. 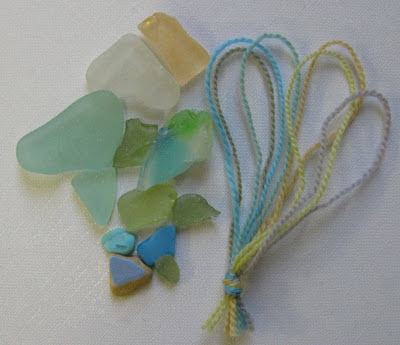 She picked out some Rialto Lace to use in a scarf and used some beach finds as her colour palette. She's going to use the laceweight yarn in her knitters loom. Can't wait to see the finished scarf!